SAP Business One is the leading ERP (Enterprise Resource Planning) software built from the ground up for small and medium businesses. 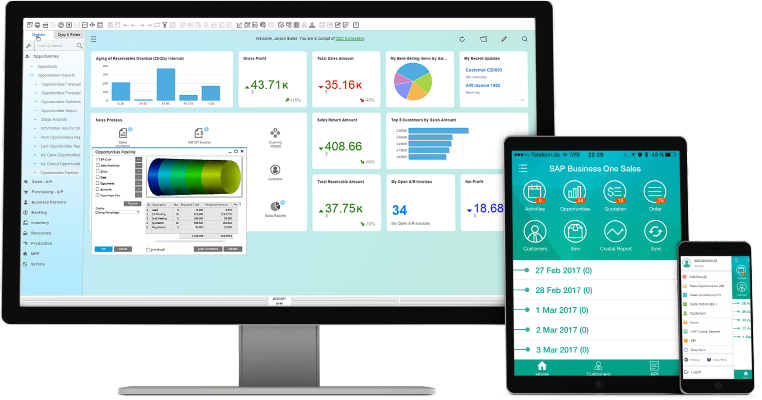 Designed to grow with your business, SAP B1 streamlines your key processes from accounting and CRM to supply chain management and operations. Business One is priced for SMBs yet is fully featured, allowing you to manage your entire company from the one platform including financials, sales, customer service, purchasing, supply chain and operations. Convert more prospects, keep customers satisfied, and maximise revenue with an integrated CRM tool that support all business activities : from managing campaigns and tracking leads to administering after sales support. Optimise the entire purchasing workflow, covering order creation, vendor selection, invoicing and payment. Obtain real-time inventory updates, valuation and tracking. Lower the cost of managing your business with SAP Business One’s single platform that covers financials, inventory, sales, customer relatinships, operations and more. Gain 360 degrees visibility and complete control over all aspects of your small business. Capture critical information and use it for improved decision making. Obtain a single view of your business in a flexible, modular and simple interface. All information and data for you to action on & accelerate growth. MicroChannel is the leading SAP Business Partner that provides end-to-end consultation, implementation, customisation and support for SAP Business One. Available on-premise as well as on the cloud hosted by MicroChannel, SAP Business One is a true scalable solution that allows you to run your business with a single solution and scale when your business grows and expands. MicroChannel can help your medium or small business to get growing with SAP Business One, Enterprise Resource Planning (ERP) for SMB. Affordable and flexible, SAP Business One is a practical, user friendly business management software created to meet the business demands of small to mid-size companies. It can help you better manage every aspect of your business, including sales, distribution, financial, manufacturing and customer relationship management. 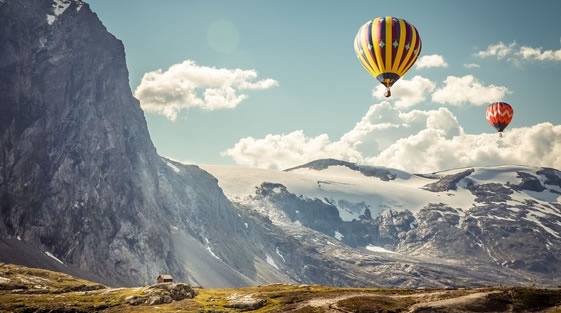 SAP Business One software can be deployed in the traditional on-premise environment or on the cloud (public or private), either with SQL or HANA. SAP application is hosted on a public cloud like Azure. SAP application is hosted on a private cloud, hosted by MicroChannel. HANA is SAP’s in-memory computing platform that brings you enterprise performance at a small and medium business price. MicroChannel has received numerous awards from SAP and we’ve been recognised at the local level and collectively across our organisation. Built and priced for small and medium businesses, discover how the SAP Business One application is streamlining business operations from start to finish. Below are the list of brochures you can download to get detailed information on this business management solution.